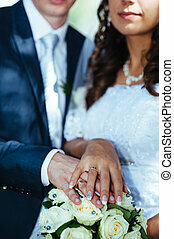 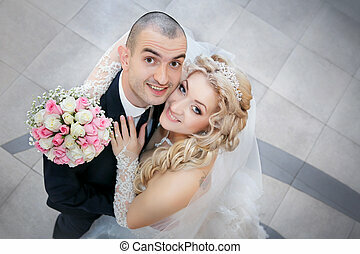 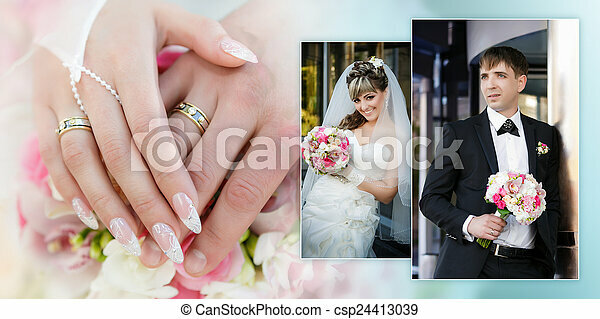 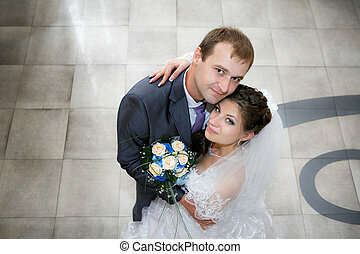 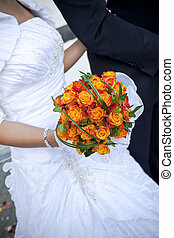 Collage - a portrait of the groom and the bride with a wedding bouquet and hands with rings close up. 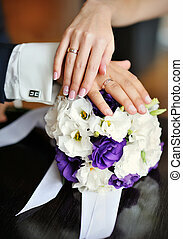 Hands of the bride and groom with rings on a wedding bouquet. 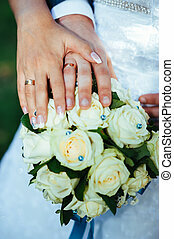 hands of the bride and groom with rings on a beautiful wedding bouquet. 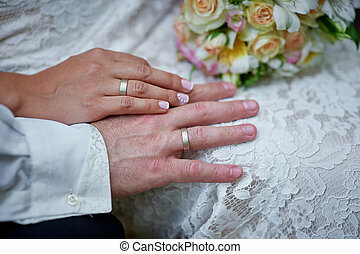 Hands of the groom and the bride with wedding rings and a wedding bouquet. 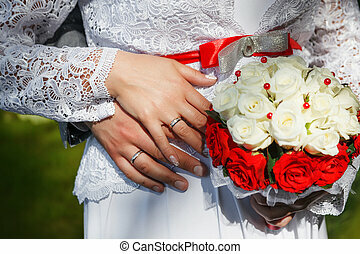 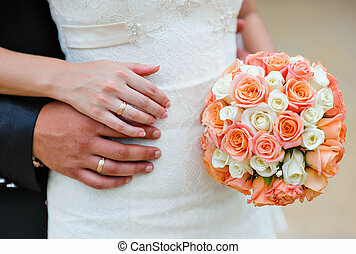 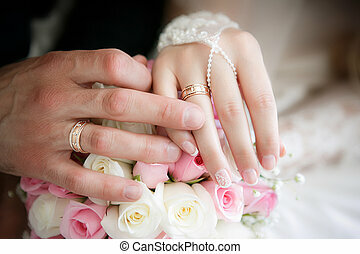 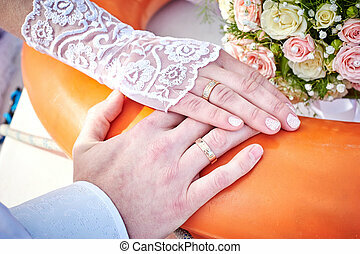 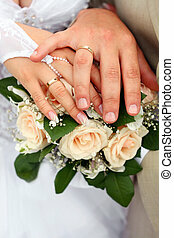 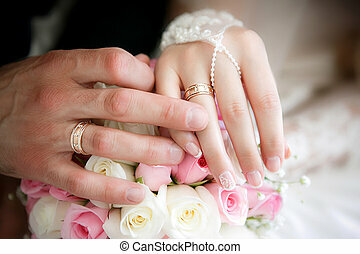 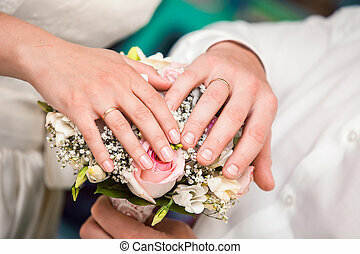 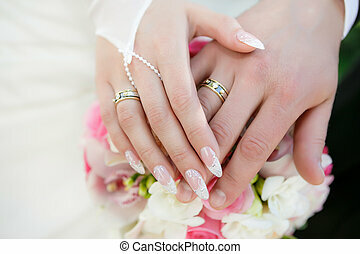 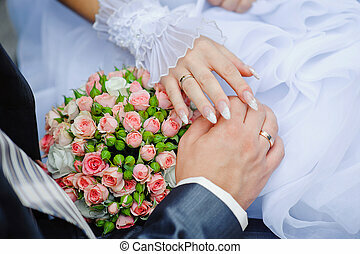 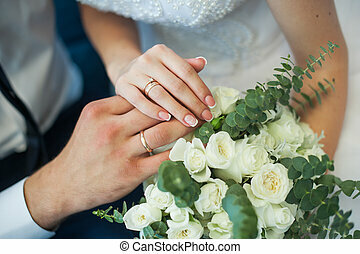 hands of the bride and groom with rings on a background of a wedding bouquet. 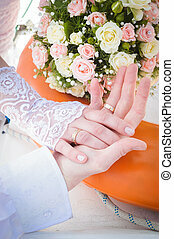 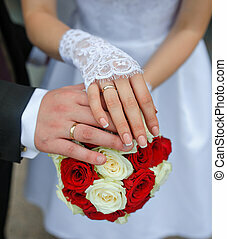 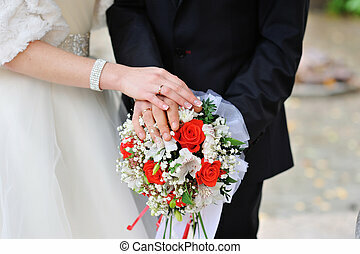 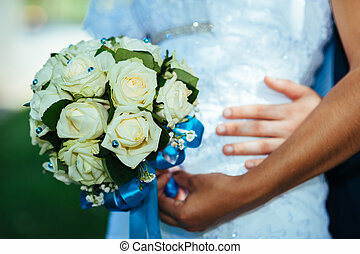 hands of the bride and groom with wedding rings on a background of the bouquet. 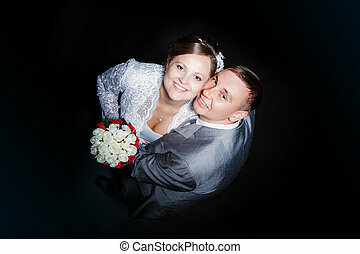 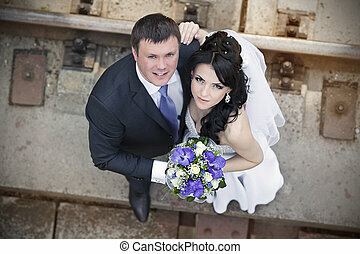 Young couple in love the bride and groom with a bouquet posing on a background pier with yachts, wedding day in the summer. 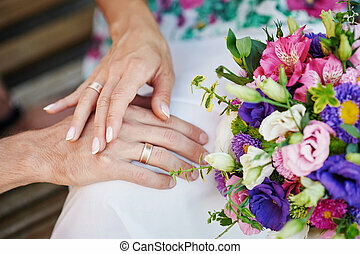 Enjoying a moment of happiness and love.